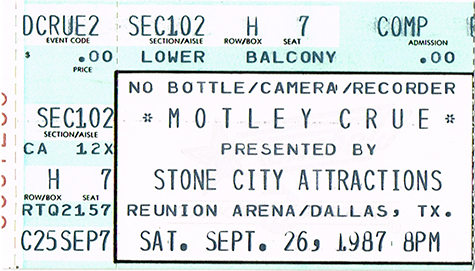 Motley Crue was an American heavy metal band formed in Los Angeles, California, on January 17, 1981. 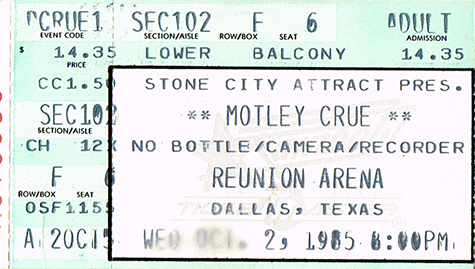 The group was founded by bassist Nikki Sixx and drummer Tommy Lee, lead singer Vince Neil and lead guitarist Mick Mars. 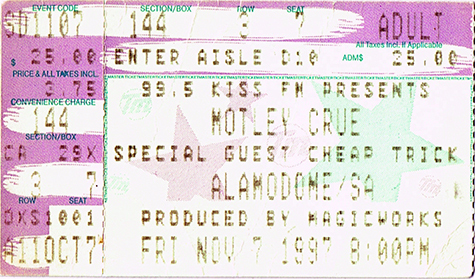 Motley Crue has sold more than 100 million records worldwide, including 25 million albums in the United States, making it one of the best-selling bands of all time. 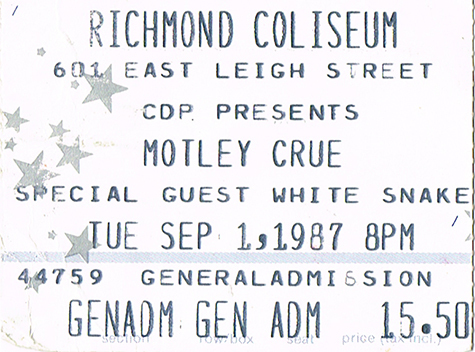 Description: Motley Crue - Original 1981 8x10 BW Promo Photo. 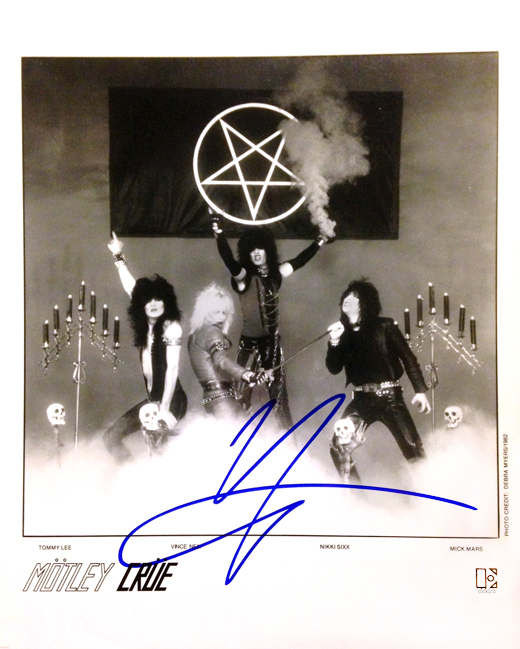 Signed by Vince Neil Only in blue Sharpie marker. Signed by Vince while on his 2017 solo tour at Lava Cantina in The Colony, TX. 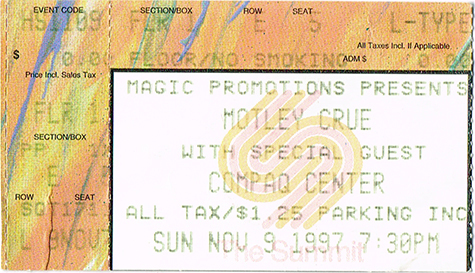 Description: Motley Crue - 1997 Dr. Feelgood Tour Support Pass. 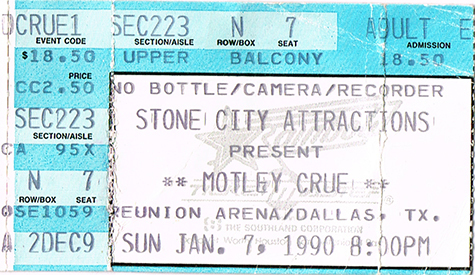 Description: Motley Crue - 1994 Hooligans Holiday Tour Photo Pass. 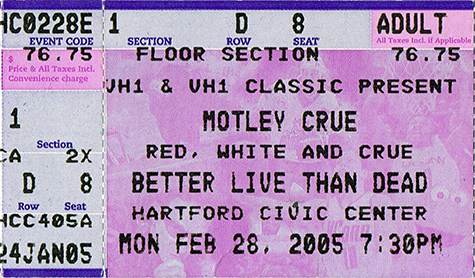 Description: Motley Crue - 2011 30th Anniversary Tour Photo Pass. 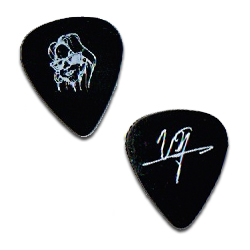 Description: Motley Crue Vince Neil Concert Tour Signature Guitar Pick. 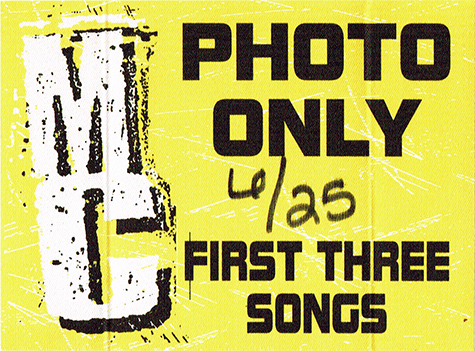 Face logo. 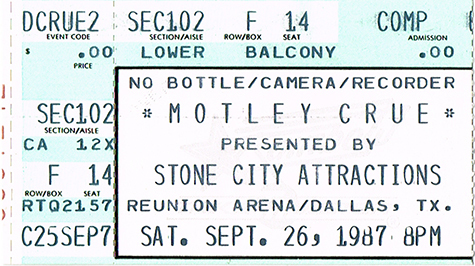 Description: Motley Crue Nikki Sixx Concert Tour Signature Guitar Pick. Face logo. 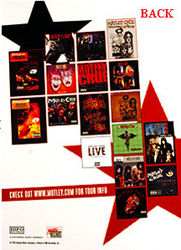 Description: 4x6 Motley Crue 2005 tour postcard. 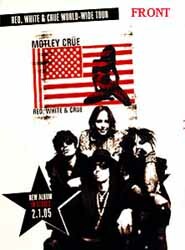 Description: Motley Crue Generation Swine LP Promo Poster. Size 12x20. Item in VG condition. 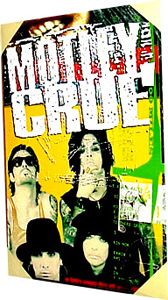 Description: Motley Crue Hooligans Holiday LP Promo Poster. Size 21x27. 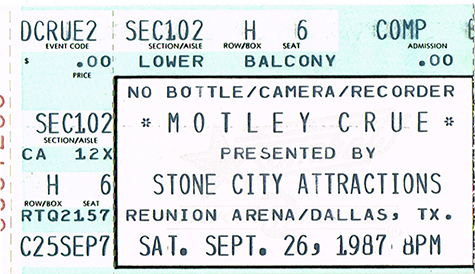 Item in mint condition.